In January I have been making illustrations for The Book Illustration Competition by The Folio Society. 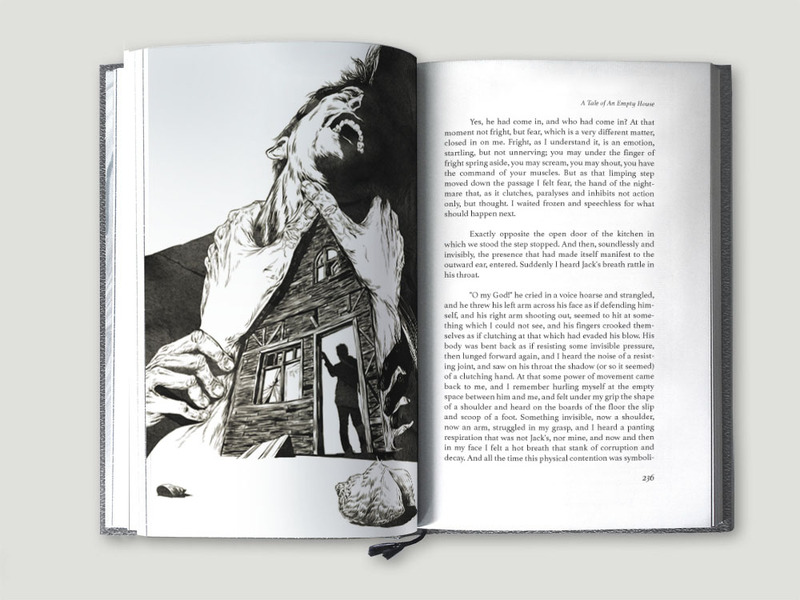 This year the task was to illustrate three novels for an edition of collected stories “The Folio Collection of Ghost Stories”. Three stories from the collection – “The Treasure of Abbot Thomas” by M. R. James, “A Tale of an Empty House” by E. F. Benson, and “The Upper Berth” by F. Marion Crawford. 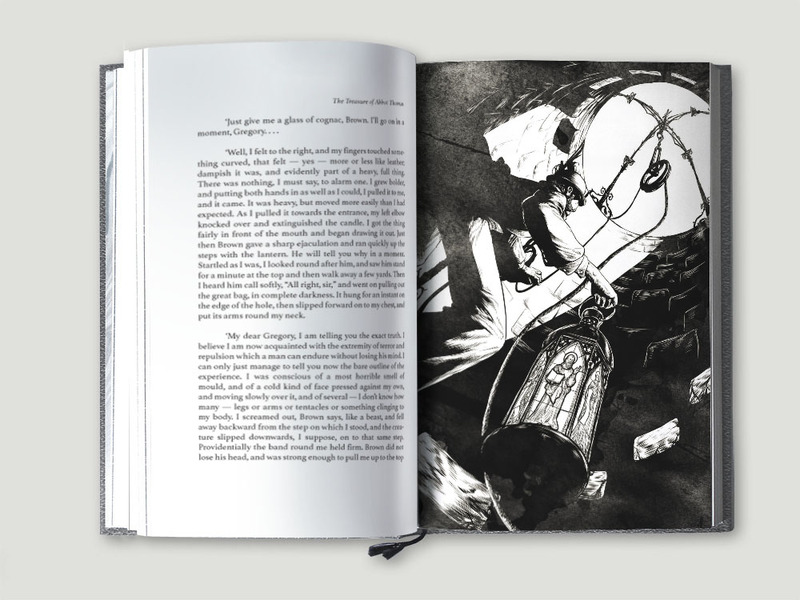 I wanted to create dark, sombre, electrifying illustrations, which would reflect the very essence of these mystical stories. That is why I decided to use two artistic devices that would be able to make common stylistics for three rather different stories. I experimented with foreshortening, tried making it as sharp and unusual as possible, with strong perspective distortion. I believe that it makes illustrations more tension, and a narration more intriguing. Moreover there is a metaphor in every illustration which connects different parts of a story with each other. For example, stained-glass windows, which are mentioned in the first part of a story “The Treasure of Abbot Thomas”, are transformed into glass of a lantern in a hand of a man running in a well. 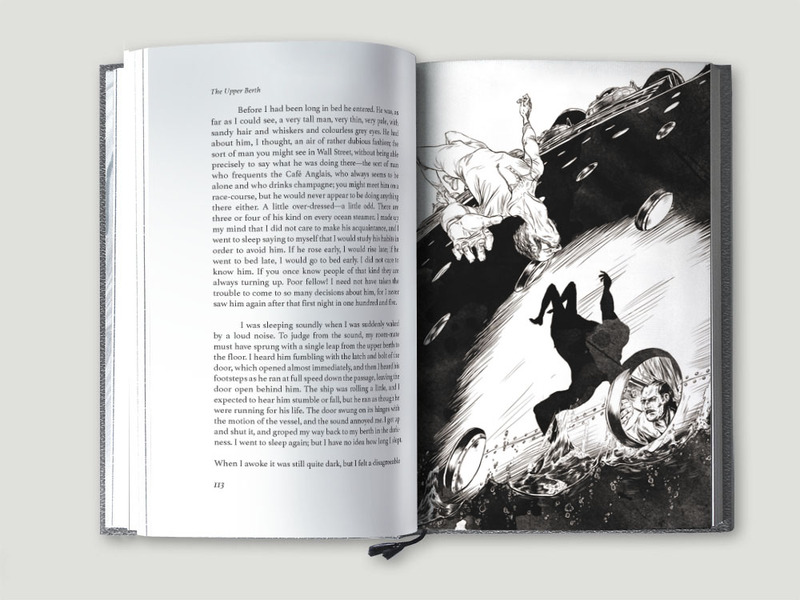 Shadow of falling man in the illustration for “The Upper Berth” is crowned with a face of a passenger looking through a porthole. And finally for “A Tale of an Empty House” it’s a house with a shadow of a man in a doorway, and a shape of this house is created by a space between two hands throttling a novel’s character. 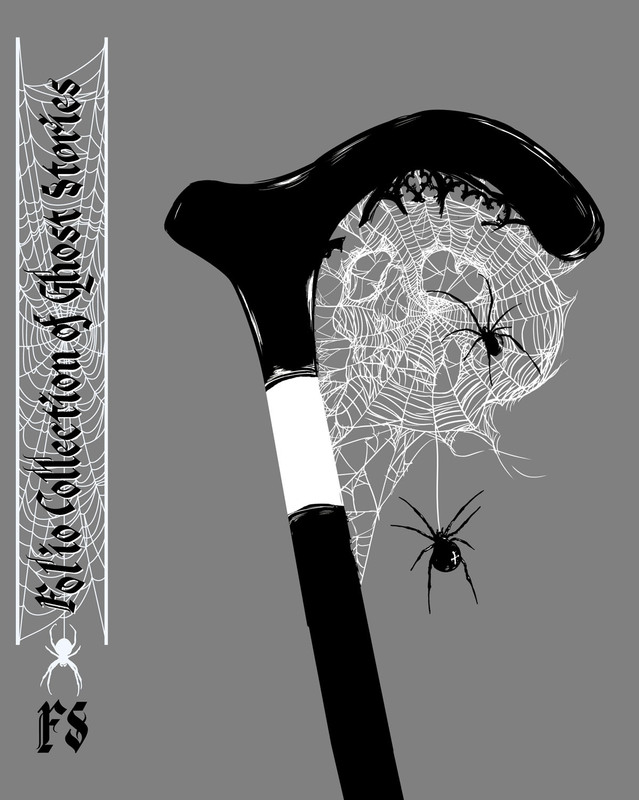 In a cover illustration I depicted a gentleman’s cane, spider’s web in a shape of a skull and some well-known parts of Gothic and Victorian architecture. For me this image shows that these dusty, old-fashioned stories have certainly preserved spirit of the age, but what is more important is there ability to be still intriguing, full of gloom and mystery.